This book seeks not only to reflect what Johannesburg looked like but attempts to include pictures which give social and historical context. 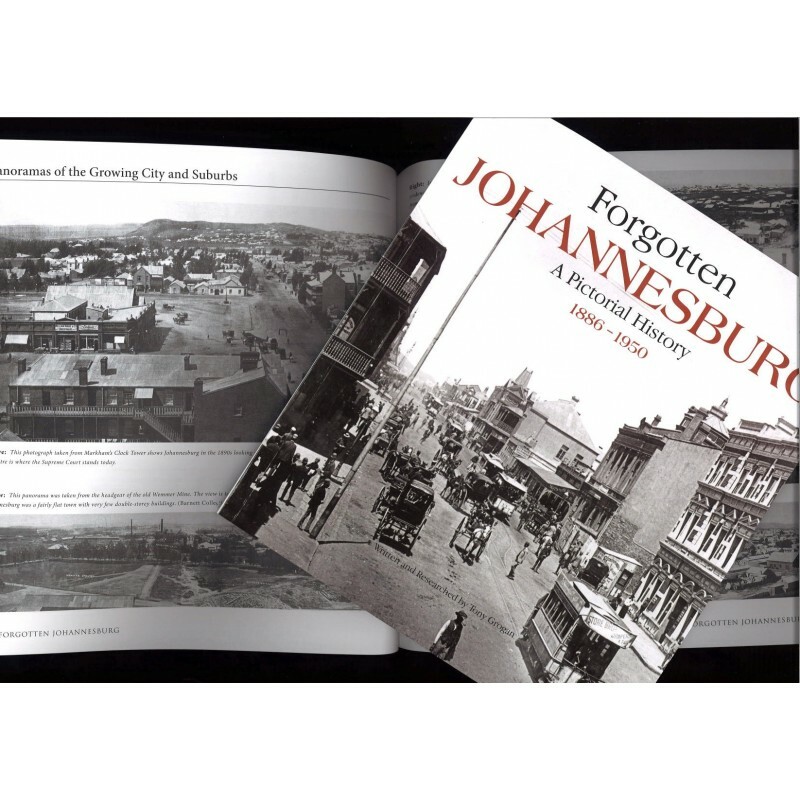 Johannesburg has a rich and turbulent history of events which not only record Johannesburg's largely forgotten past, but many of these events also shaped and determined South Africa's history. This delightful collection of photographs covers the first sixty years of Johannesburg's history. Like any pictorial urban history, most of the photographs recall the changing environment, which in the case of Johannesburg was subject to frequent and rapid change, expanding and demolishing and rebuilding owing to demands of a rapidly burgeoning economy and the restriction of space in the central city area. Life in Johannesburg was tough, ruthlessly competitive and brutal. Hopefully the photographs will give a realistic sense of what it must have been like in those days and how it was experienced by a broad cross section of the people who lived and worked in the city.